The attorneys of Sigman & Sigman, P.A. practice employment law, which includes cases involving unpaid wages, including unpaid overtime premium and other unpaid wage claims. Too often, employees are either intentionally or unintentionally denied pay to which they are legally entitled. Florida law and federal law provide for attorneys’ fees awards to be paid when employees successfully prevail upon their claims for unpaid wages. These laws were designed to “level the playing field” so that employees who were due wages would be able to obtain attorneys to represent them, regardless of the amount of wages due. Some unpaid wage claims are a matter of contract, and others are a matter of violation under the Fair Labor Standards Act (FLSA) which governs minimum wage and overtime pay for covered employees. The Fair Labor Standards Act requires that covered employers pay covered employees at least minimum wage, and also overtime premium (typically 1.5 times their average hourly rate for the workweek) for each hour over 40 hours worked in a workweek. There are many exemptions and classification issues that make FLSA issues complex and fact-intensive. Generally, employees who are “exempt” from overtime based upon their salary and their actual job duties are not entitled to overtime pay. On the other hand, employees who do not fit within a particular exemption are entitled to overtime pay. Often employers misclassify employees, causing non-payment of overtime premium to those who are actually entitled to it. Some employers misclassify or under-pay employees intentionally, while others do it unintentionally. 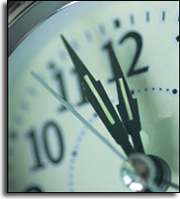 Nonetheless, non-exempt employees covered by the FLSA are entitled to overtime premium pay. The law firm of Sigman & Sigman, P.A. have the knowledge and experience to advise, counsel and represent employees in their claims for unpaid wages, whether the entitlement to wages comes from the employees’ contract or agreement with the employer or from the FLSA. Employees who believe that they have been denied wages need to act promptly and not delay. Important statutes of limitations apply and will bar these claims if they are not filed within the applicable deadlines. There are also anti-retaliation statutes that protect employees who properly complain of FLSA violations by the employer. Attorneys can help guide employees through the complaint process.